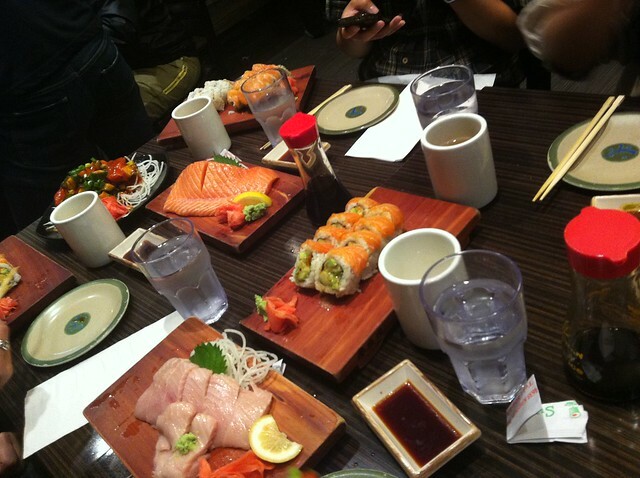 Late night eats Sushi Garden Japanese restaurant on Kingsway in Burnaby on October 12, 2011. 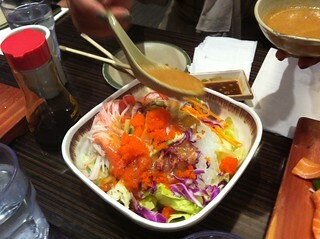 We hit up the Kingsway location of Sushi Garden across the street from Metrotown. I had only been to the Burnaby North location on Lougheed. 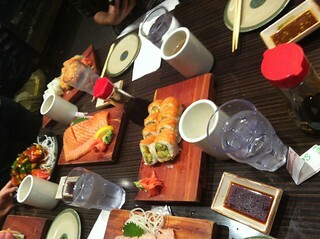 The food was pretty solid from the raw fish to rolls and cooked dishes. 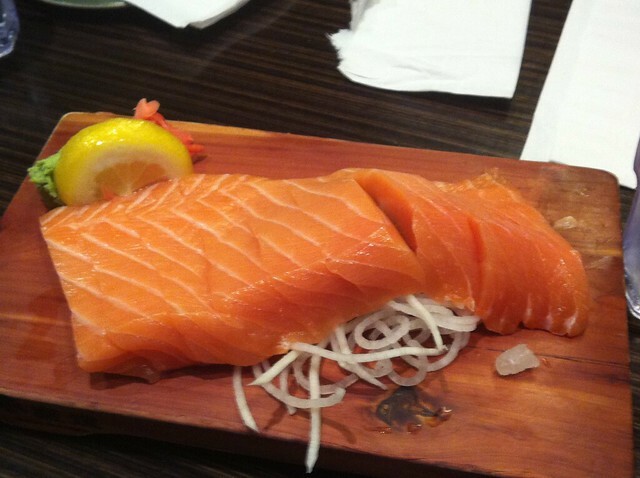 My standard dish of spicy chopped scallop roll was tasty as well as some fresh salmon sashimi. 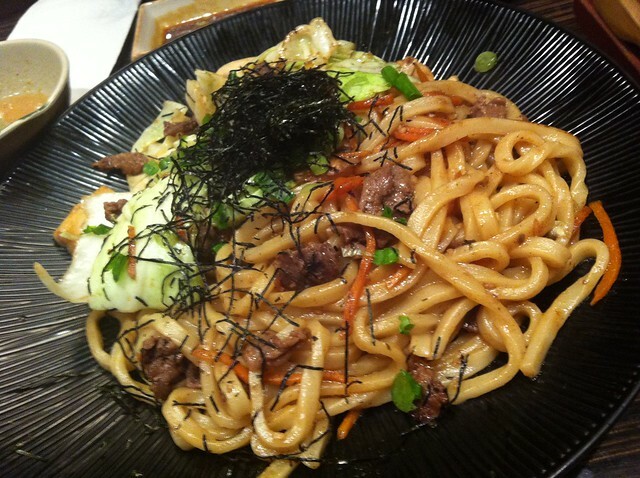 The beef fried udon was delicious but hard to scoop as we shared our orders. 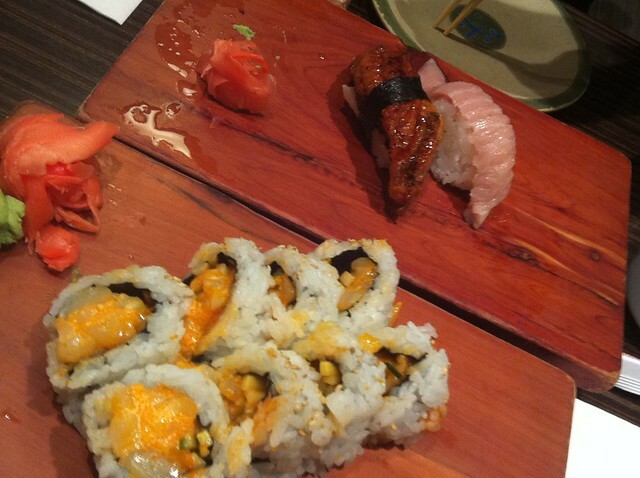 The spicy tuna was definitely a standout item. Their Alaska rolls (of mostly avocado) were pretty ridiculous as well. I was pretty pleased as punch with all the Japanese goodness and a full menu of delectable items to order and consume. I don't hit up Burnaby often, but I do enjoy the tasty efforts from the Garden. Wow they look so delicious and yummy!